Marieken Cochius, Myriad Trails, Solar plate etching, 11.5 in X 17 in, 2012. 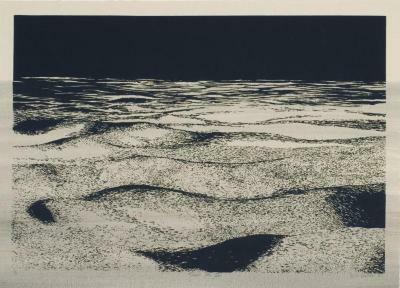 Dawn Lee, River’s Edge, Repetition with Variation #1, Solar plate etching, 11 in X 15 in, 2008. Dawn Lee, River’s Edge, Repetition with Variation #2, Solar plate etching, 11 in X 15 in, 2008. Dawn Lee, River’s Edge, Repetition with Variation #6, Solar plate etching, 11 in X 15 in, 2008. Dawn Lee, River’s Edge, Repetition with Variation #7, Solar plate etching, 11 in X 15 in, 2008. 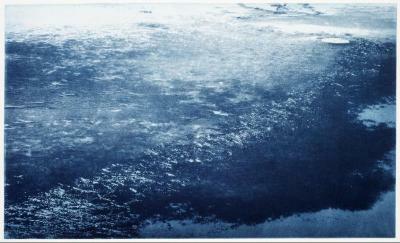 Dawn Lee, River’s Edge, Impression, Solar plate etching, 11 in X 15 in, 2008.